Space-saving design without compromising on style, our NEW Svelte corner unit is the latest addition to our Bauhaus Svelte furniture collection. Making the most of every inch of space, the wall-mounted unit is the smart choice for smaller bathrooms and cloakrooms. A hugely practical offering that utilises unused spaces, Svelte’s signature elegant curves and seamless finish have been incorporated into this stylishly compact unit that fits perfectly into any corner. Deep double drawers provide ample storage for toiletries and cleaning material, with up to 40kg capacity for heavier items, and are complete with soft close runners to provide a smooth and quiet closing motion. 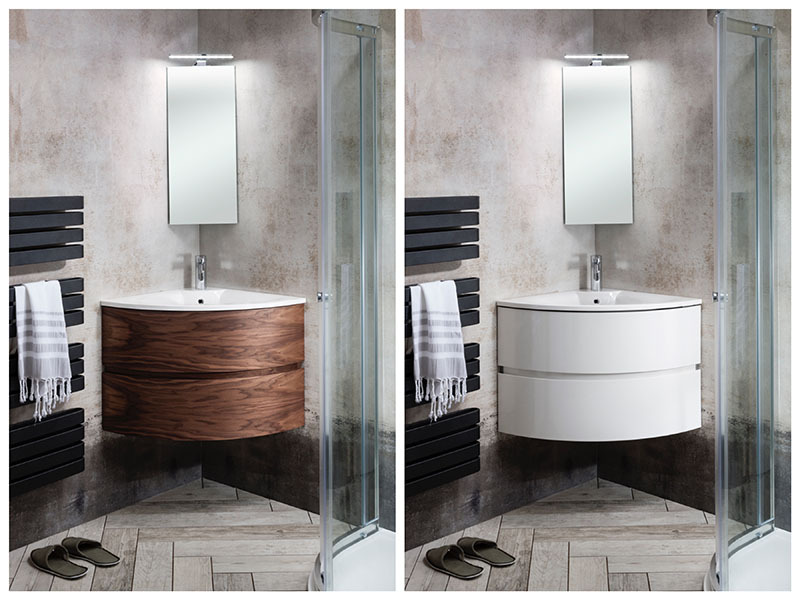 Offering a look to suit all bathing spaces, Svelte Corner is available in four contemporary finishes: Matt Coffee, Eucalyptus, American Walnut and White Gloss. 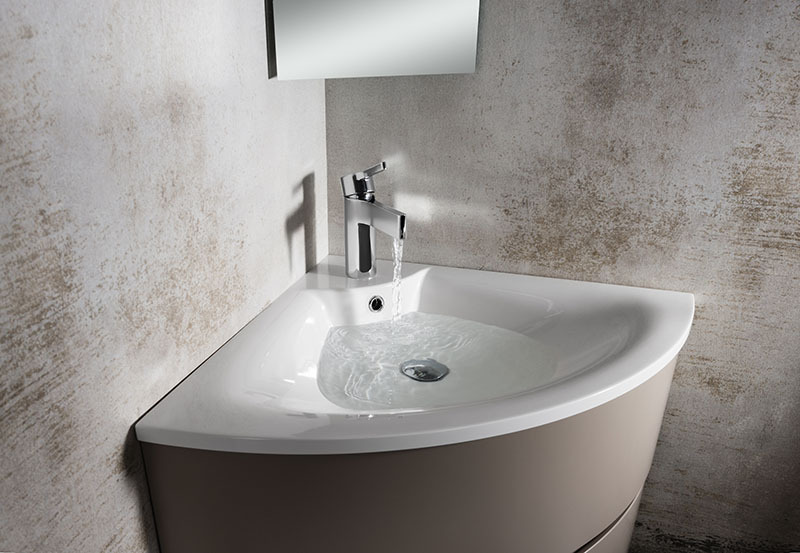 Complemented against the crisp white surface of the inset marble basin, opt for a minimalist look with a combination of white-on-white, or combine with the warm tones of the wood-effect finish for a luxurious, hotel-inspired appeal. 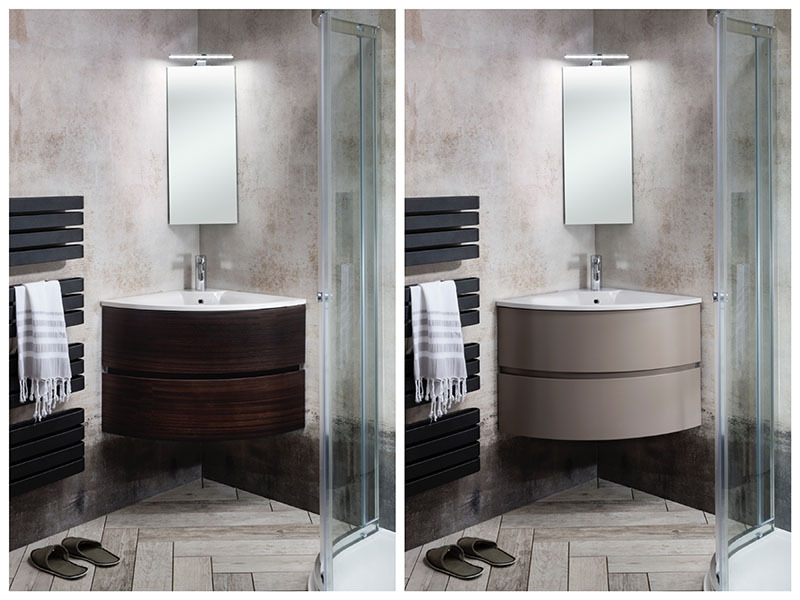 As with all designs in the Svelte collection, the lacquered and veneered finishes feature a ground-breaking and permanent anti-bacterial treatment called ACTIVE, as standard. ACTIVE guarantees unlimited protection and reduces the proliferation of common bacteria by more than 99%, making this the ideal choice for busy family bathrooms and multi-purpose WCs. Keep up-to-date with our latest product launches on Facebook, Twitter and Pinterest!